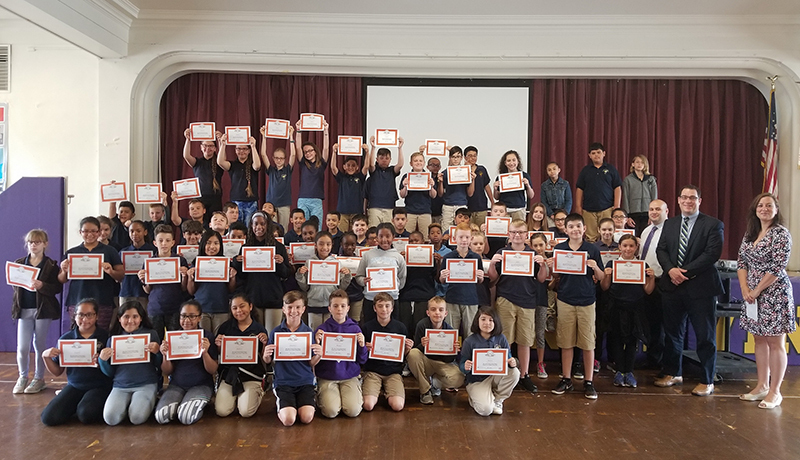 In the 2016-2017 academic year, Spencer sponsored the EverFi Program, an online financial literacy curriculum, for eight New Jersey elementary and high school classes in Bergen and Passaic counties. The modules teach students important financial life skills such as saving, banking, investing, renting versus owning, credit scores, taxes and insurance, and consumer fraud. Students in Wallington, Elmwood Park, Clifton and Garfield were able to increase their knowledge of key financial topics, based on pre- and post-assessment scores. Through Spencer’s partnership with EverFi, financial literacy is being taught to local students at no cost to the participating schools or taxpayers. The eight-hour web-based program uses the latest in new media technology to bring complex financial concepts to life for today’s digital generation. The platform uniquely tracks the progress and performance of every student and provides students who successfully complete the course with a financial literacy certificate, a valuable mark of distinction on college applications and resumes. Since beginning its partnership four years ago with leading education technology company, EverFi, Inc., Spencer has made EverFi’s interactive, web-based financial management program available to more than 2,000 students. The 2016-2017 year was Spencer’s largest EverFi year yet, as the bank reached nearly 700 students.